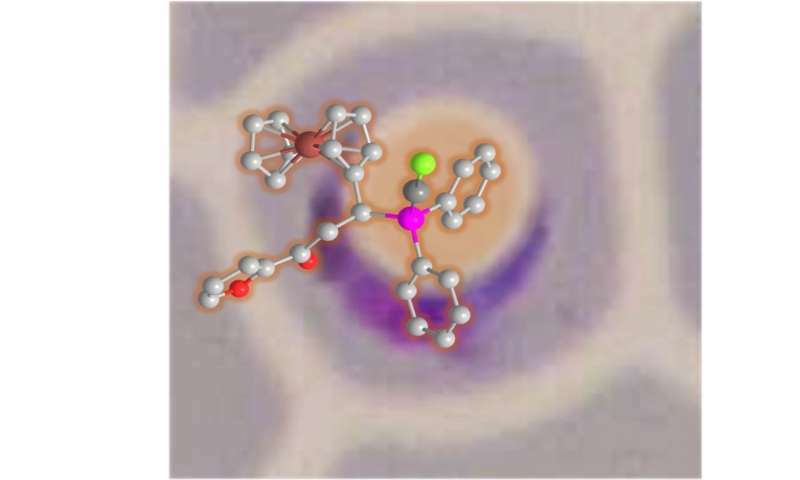 A team of researchers from the Singapore University of Technology and Design (SUTD) and Nanyang Technological University (NTU) have developed novel ferrocene-based molecules that impair the malaria parasite's metabolic function leading to parasite death. Towards this end, in a collaborative research study between SUTD and NTU, a panel of novel chemical compounds categorised as ferrocenyl phosphines was developed as potent antimalarial drugs. The NTU team led by Dr. Sumod A. Pullarkat from School of Physical and Mathematical Sciences synthesised the small molecule inhibitors. The antimalarial testing and the mechanism of action studies were subsequently carried out at SUTD under the supervision of Assistant Professor Dr. Rajesh Chandramohanadas. Dr. Pullarkat stated: "From a chemist's point of view, the step-by-step introduction of pharmacophores in a novel chemical framework permitted us the opportunity to systematically evaluate the function of each incorporated component in rendering antimalarial activity, across various stages of parasite development." Dr. Chandramohanadas added: "It is intriguing to learn how chemically diverse small molecules interfere with hemoglobin metabolism, a hallmark of malaria infection. Furthermore, such studies allow us to understand the cellular level changes arising from drug treatment, some of which can be leveraged for prioritising novel antimalarials, in view of rapidly evolving drug resistance."